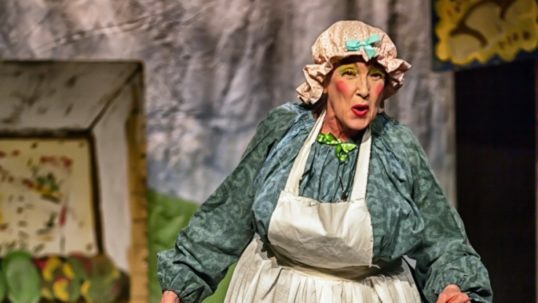 There is plenty to enjoy in St Serf’s Players’ take on one of the oldest pantomimes of all, The Wonderful Story of Mother Goose. However, despite some pleasing traditional elements, it is missing that sparkle of fairy dust that makes panto so enjoyable. While many professional pantomimes now seem to have fewer and fewer female roles, this one is distinguished by having an almost entirely female cast – interestingly, the only male in evidence takes on the ‘principal boy’ role that would once have definitely been played by a woman. This means that the dame role – Mother Goose herself – is female. While this is unusual, particularly considering that Thomas Dibdin’s version of the story did as much as anything to establish the whole idea of the pantomime dame, there is certainly nothing inherently wrong with it. Rona Arnott does well in the part, adding a new spin on the concept and putting both humour and pathos across well. Unfortunately, the rest of the cast are not all as good. There is no getting away from the fact that this off-the-shelf script by Norman Robbins is unwieldy and frighteningly long. 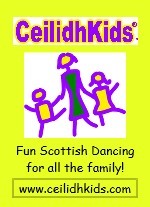 By the time the audience participation number comes round it is already after ten o’clock and interest has waned more than a little. A story that is not nearly as well known as most pantomimes is swathed in unnecessary layers – surely we do not need an evil squire character to boo as well as an evil fairy? In fairness, Carole Birse and Joy Jin, in these two roles, are among the best at selling their lines to the audience. Elsewhere, there are some very old jokes that need to be attacked eagerly and brazenly – rather than almost apologised for, as they seem to be here. While there are a couple of venerable routines that come off due to the confidence shown in them, unfathomable quips about Cilla Black or ET are far too common. There is also one whole schoolroom scene that seems several decades past its sell-by date. The odd, but distinctly welcome, topical or local reference stands out like a sore thumb. 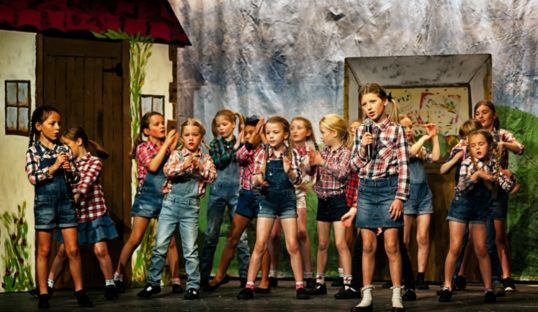 The musical numbers are almost entirely left to the children of the Trinity Theatre Company, who have a great deal of energy and commitment that is not always present elsewhere; however, they rarely seem integrated into the rest of the show. The main problem is one of pace. It is possible to be too broad in panto, but it is very difficult; this production errs far too much on the side of caution. At least a more over-the-top style would have the effect of injecting the speed and liveliness that is lacking here. For example, Anne McClary and Mollie Johnson, as the Squire’s bailiff’s Sage and Onions, turn in what would be perfectly good acting performances in a realistic comedy, but here they just seem out of place. Joy Blair’s Silly Billy Goose has a good deal more life, and does very well in the opening exchanges with the audience, but could easily milk things a great deal more. Keith Hooper’s romantic lead Colin grows in confidence as the show progresses, building up a rapport with the audience, but his featured songs with Jodie Lawrance’s Jill Goose are somewhat thrown away. Robina Harding gives Priscilla the magic goose just the right degree of poise. Susan Wales and Alison McCallum give the good fairies a sense of otherworldly stateliness that is effective – and would be even more so if that stateliness was not carried over to the rest of the production. There is nothing notably bad in Jack Paterson’s direction, or in the performances. There is the odd missed line, but no more so than could be forgiven. What is missing is the sense of the cast having fun that is so easily communicated to the audience; this seems rather glum, and far too slow.